When InSpectre is launched with the string “probe” in its command line, its Windows user interface will be suppressed. The application will assess its hosting system's status, then immediately terminate itself returning a decimal exitcode which encodes eight “trouble bits” itemizing trouble. Therefore, an exitcode of zero (0) is returned only by a fully secure system. InSpectre's more technically inclined users have asked for more information about how InSpectre makes its decisions. Non-Windows users have also asked for that information so that InSpector could be run on Linux and MacOS machines (under WINE) to check the non-Windows machine's CPU support. As shown to the right, InSpectre release #3 adds a “Show Technical Details” item in the system control menu at the upper-left corner of the app. 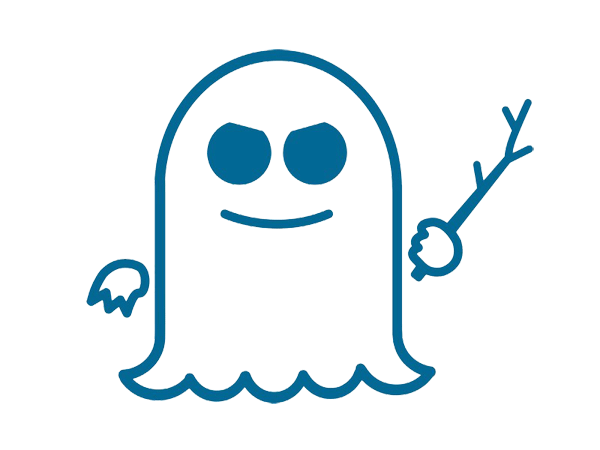 Click on the little “Spectre” icon and select the “Show Tech Details” item to display the raw data obtained by InSpector's analysis of its operating environment.